Be the envy of your neighborhood. Relax by your own tranquil koi pond. We pour our heart into each project. 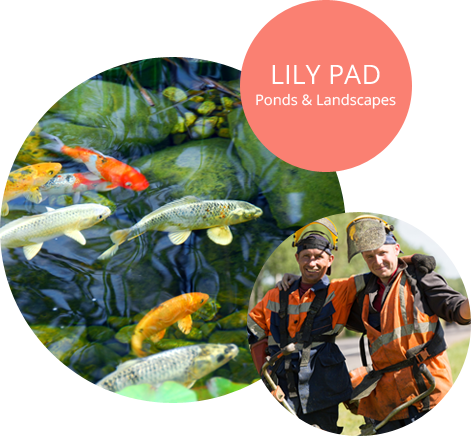 At Lily Pad Ponds, we are known for our one-of-a-kind customs designs. 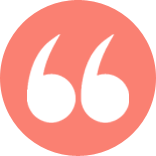 We work with you to find the best fit for your lifestyle, budget and space. 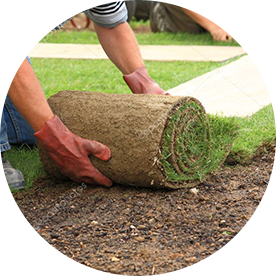 We offer an extensive list of services to make your landscape beautification and maintenance easy. 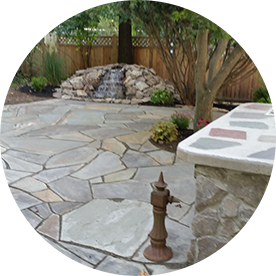 Get a free quote for your next landscape project - call now! We pride ourselves on our amazing staff! Each member brings something different to our company, while remaining knowledgeable with continuing education courses, friendly and motivated. Feel free to contact us today for a free estimate! There's never been a better time than right now! 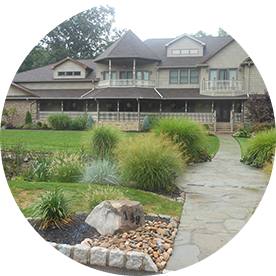 Over 20 years ago, Robert Bellek, founder of Lily Pad, decided to put his knowledge and skill of landscapes and ponds into a career. Along with the business, Robert also started teaching a course at Rutgers University to share his extensive knowledge of the field. Since that time, the company has grown beyond what he imagined. The success of the company is directly related to the quality of service, exceptional designs, and hard-working staff. Without these, Lily Pad would not be what it is today. Over the years we have maintained our A+ rating with the Better Business Bureau. 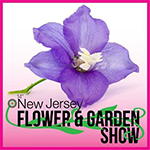 We continue to grow by participating in different pond and landscape competitions including the NJ Flower and Garden Show which we place 1st in several categories each year. 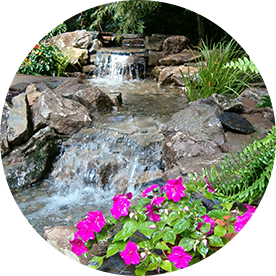 Make your backyard the relaxing oasis you've always wanted with a gorgeous waterfall and custom built pond. Don't have a lot of space? 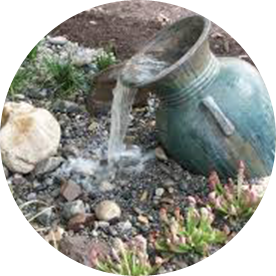 A pondless waterfall is a simple solution to add a little elegance to your landscape. 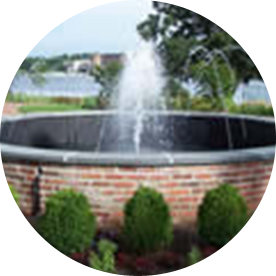 Create a statement with a custom fountain. 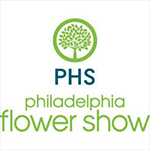 Whether it is the main focus or part of a landscape, its sure to get people talking! Have ideas about your perfect landscape but can't seem to figure out how to put the plans into action? We are here to help! Budgets, size of land, and design are no issues for us! Entertain in style with an outdoor kitchen people will be sure to talk about! And it's weather proof! Koi ponds can add a little excitement to your existing landscape. Plus the Koi help maintain the pond, so you can have more time to enjoy your space! Lawn care has never been easier. We offer from fertilization to pest and weed control, lawn aeration and sprinkler systems and everything in between! 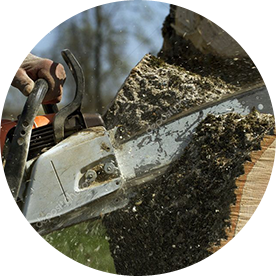 We offer safe tree removal for healthy, rotted and fallen trees while using best-practices to preserve your landscape and lawn. 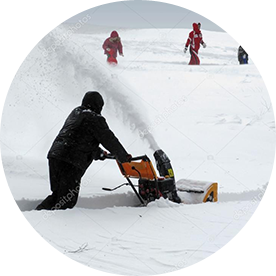 We offer residential and commercial snow removal and plowing during winter storms. Call ahead to discuss your needs, frequency and property size to see if we can add you to our routes. Very heavy tedious work,with lots of thinking ahead very nice work Bob. To think our pond will finally be constructed to the highest standards, and have a beautiful new waterfall on the upper level which will be literally “music to my ears.” And not to have all my fish gobbled up by the next day will be a miracle! Thank you for everything! It’s such a great feeling to have our project under your guidance and leadership. 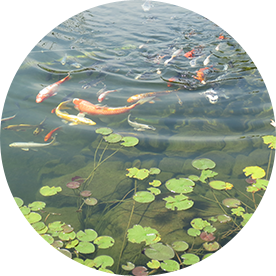 The koi pond that Lily Pad Ponds built for us is a feast for the eyes. It is absolutely gorgeous.